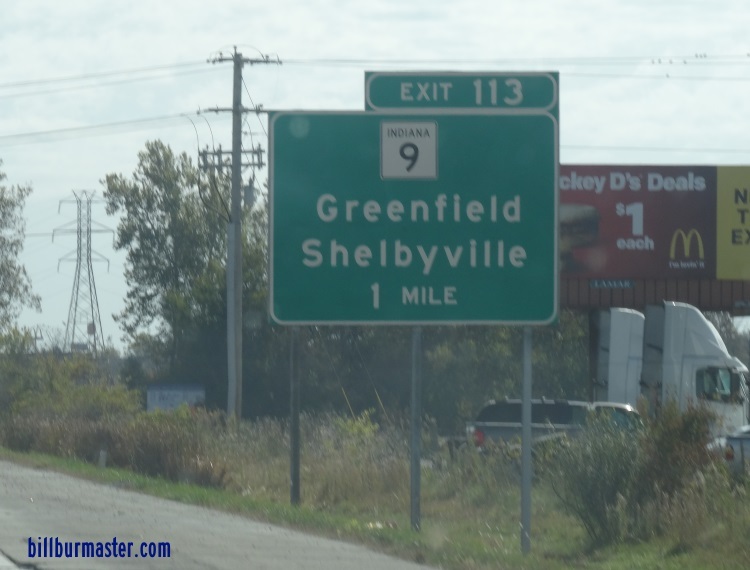 Indiana State Route 9 runs north-south across Central Shelby County. It runs from the Hancock/Shelby County Line, near Fountaintown, to the Shelby/Bartholomew County Line, near Old St. Louis. IN St Rt 9 passes through the following towns in Shelby County. 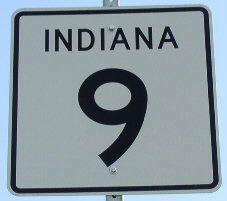 IN St Rt 9 is multi-plexed in Shelby County. Indiana State Route 44, at Shelbyville. IN St Rt 9 intersects the following highways in Shelby County. U.S. Rt. 52, near Fountaintown. U.S. Rt. 421, at Shelbyville. 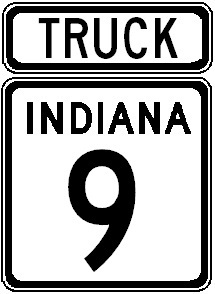 TRUCK Indiana State Route 9, at Shelbyville. Branches of IN St Rt 9 in Shelby County. A BGS on EB I-74/SB U.S. Rt. 421.